“ I had the best time working with Pablo. I came to appreciate his own deep respect, empathy and love for the work he does. I worked with him as my coach for over a year. He was always available and ready to hear me, whether in face to face meetings, zoom, Skype or just a plain call when I most needed it. Pablo guided me to understand what was next in my life, as I was going through some very deep challenges on the personal and work fronts. He helped me decipher my own personal purpose by helping me develop very practical next steps. I still keep in contact with Pablo. I have recommended Pablo to my family, friends and work colleagues, and some of them have indeed hire his services. 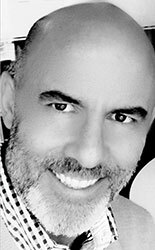 Pablo has a sweet soul that made me felt comfortable with his coaching style and presence, since day one.” – Isabel U.
Pablo’s life has evolved around the corporate and non-profit worlds while always working on his own personal and spiritual development. He has been CEO and chairman of a number of organizations, as well as an entrepreneur and innovator. He is a deep, sensitive and conscious soul always finding ways to make the best of this world. He is also a family person and husband to Gina for the last 31 years. His areas of focus are personal, spiritual and corporate coaching.